The European Experience: Adopting the tradition spawned in Europe, at The Olive Grove you can taste and sample the freshest and finest Extra Virgin Olive Oils and Balsamic Vinegars. The Olive Grove offers products from growers in both the Northern and Southern hemispheres throughout the world, ensuring the freshest available oils and vinegars any time of year. Each of our olive oils is 100% Extra Virgin, filtered and cold pressed. Less than 10% of olive oils in most producing countries are truly 100% Extra Virgin. This classification is reserved for those oils with less than 0.3% acidity, and judged to have superior taste. Olive oil has a 9-12 month shelf life, while vinegar will last 3-5 years. For your products to last this long requires proper storage. Olive oil has three big enemies; heat, light and air. Once it is exposed to any one of these elements, it begins to deteriorate. 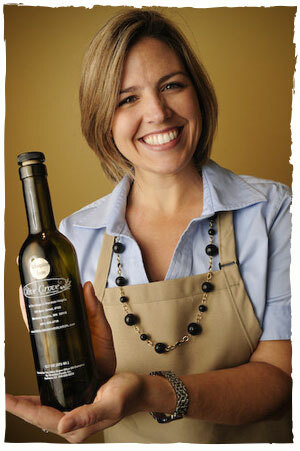 When you buy your olive oil at The Olive Grove, you are guaranteed a fresh product. All of our oils and vinegars are kept in stainless steel containers until they are purchased and bottled for our customers, giving you no less than 9-12 months for olive oil and 3-5 years for balsamic to consume. We also bottle our oils and vinegars in dark colored bottles as a way to further hide them from light once you bring the bottle home. In addition to our oils and vinegars, we also carry artisan Italian pastas, specialty sauces, gourmet mustards, olives, black and white truffle oils, soaps and more. We look forward to your visit. Located on the northeast corner of Highway 62 (Old Hwy 110) and Dodd Road, ¼ mile east of I-35E. Providing some of the freshest and finest extra virgin olive oils, balsamic vinegars and gourmet foods to the twin cities area. Please come and experience the difference.